The Mentalist continues to be one of the best detective shows of the moment. 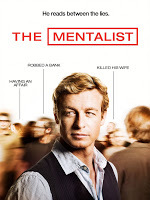 This is due to the remarkable performance of Simon Baker, who portrays Patrick Jane, a man, who possesses a great sense of deduction, coupled with the ability to manipulate people to get answers. TV series review by Bulles de Culture.